Mining Company Curacao had the privilege this week to be the first to use a new comer in the self discharge bulk vessel fleet in the Caribbean. This vessel has a load capacity of 3700 mton of bulk material. A volvo Excavator on tracks can discharge up to 450 mt/hr. 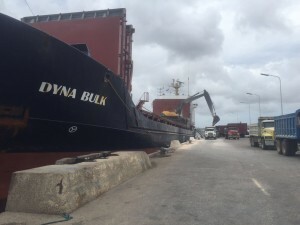 Her first job is exporting sand and aggregates to Bonaire, our sister island. 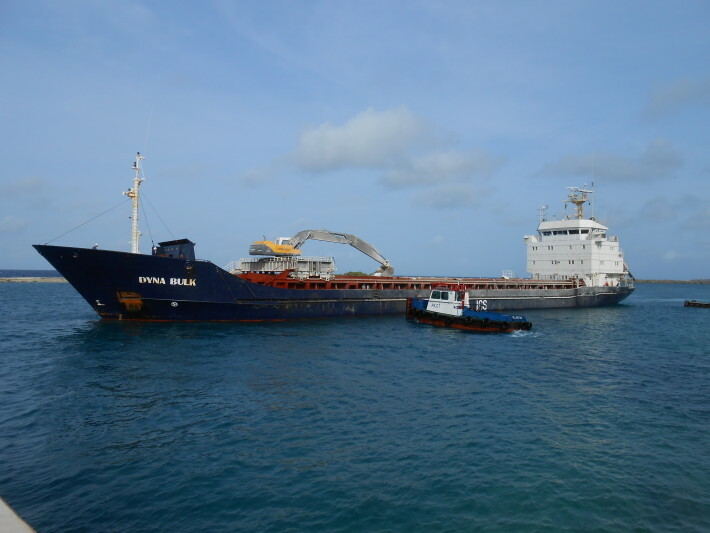 The vessel is owned and operated by Inter Caribbean Shipping Ltd.